At Glen Lake, owners enjoy lake home living in a welcoming neighborhood. 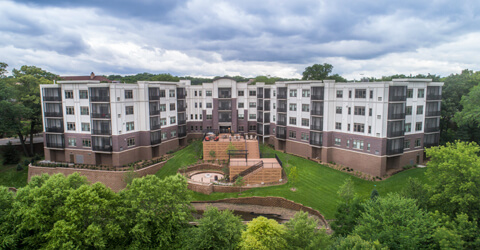 Our 54-home cooperative community offers access to everything, yet a feeling of being tucked away — with views, conveniences and amenities that truly define living better. Zvago Cooperative Living at Glen Lake, now open is 100% sold. We invite you to join the waitlist or schedule a meeting to talk with us about finding your perfect home.